Parker & Lane - Twisted Minds Collector's Edition invites you to restore Law and Order in a riveting crime drama. When a killer from Parker's childhood plots a series of murders, she must face her past before it steals her future! Follow a bizarre trail of evidence pointing to a shocking suspect - Parker?! 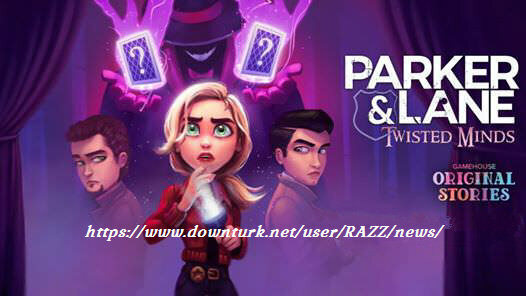 Unravel the mystery of Parker & Lane - Twisted Minds Collector's Edition! Dive into Lily Parker's past in search of clues. Solve a chilling mystery full of twists and turns. Restore Law and Order in a riveting crime drama. Master 12 minigames and become top detective! - Horoscope Plus Monsters features is a free full version game to download and play. New HOG Beta from BFG & Growing Grass Studio. •	Explore the beautiful country of the four valleys. •	Help people and fulfill many interesting quests. •	Fight monsters and advance in many skills. •	Find hundreds of useful hidden items. •	Reach up to 57 achievements. Pursue a snow-white deer through an enchanted forest and discover a magical mystery in the days of King Arthur! Answer the call of a king and begin the hunt today! Pursue a snow-white deer through an enchanted forest and discover a magical mystery in the days of King Arthur! When the legendary ruler summons Sir John and Mary to complete another quest for him, they reluctantly leave their modern-day ranch and prepare for another sword-swinging, magic-casting adventure. But nothing they have experienced has prepared them for what they will face as they track a strange creature who's on a pressing quest of its own! 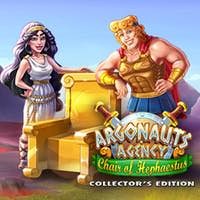 To keep up with the fleet-footed deer, the player must work quickly to gather and produce resources, repair bridges and buildings, remove obstacles, and complete quests for characters that range from wildly wicked to crazily comical. There's never a dull moment as the player races against the clock to complete challenging levels, unlock bonuses, and earn achievements. For players who want a relaxed experience, an untimed mode is available that will take them on the same incredible journey.